"Ten of the 11 champions to be crowned here are European, with five of them English. And 13 of the 14 golfers to finish either second, or in a tie-for-second, were also European." For a 12th successive year, the European Tour travels to the Algarve for this week's Portugal Masters. The Arnold Palmer-designed Victoria course in Vilamoura was opened 14 years ago and, within 12 months, had hosted the 2005 World Cup of Golf. Located around 16 miles from Faro, and approximately three from the coast, the Victoria layout is largely flat, exposed and has generously wide fairways - although a few of these have been slightly narrowed in recent years. Its greens are large and undulating, so putting will play a huge part in deciding who takes home the trophy next Sunday. With some sizeable lakes occupying this 90-hectare site, water comes into play on seven holes, although mainly on the back nine. Ten of the 11 champions to be crowned here are European, with five of them English. And 13 of the 14 golfers to finish either second, or in a tie-for-second, were also European. In 2018, the Portugal Masters will be the final event ahead of next week's Ryder Cup. One golfer who can boast to having both good current form, and a strong course history, is defending champion Lucas Bjerregaard. The Dane lost a play-off in the Swiss Alps two weeks ago, and is on a run of three successive top-10 finishes on the European Tour. Chris Wood also belongs in this category, while Eddie Pepperell stood on the podium in the Algarve 12 months ago. 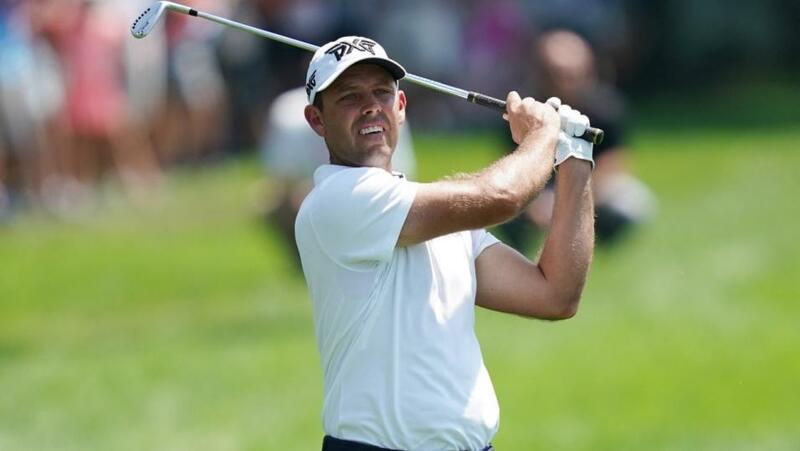 Sergio Garcia and Thorbjorn Olesen have made the journey to Portugal, as they try to sharpen their games before travelling to France for the Ryder Cup while for Belgian Thomas Detry, this week's tournament will provide him with an excellent opportunity to claim a maiden European Tour triumph. Charl Schwartzel may fancy his chances of becoming the first South African winner of the tournament, as he tees-up in Vilamoura for the first time in eight years. The world No 60's four previous visits yielded a total of three T-10s, while his most recent start was a tie-for-eighth in the Omega European Masters. His compatriot George Coetzee also has a decent record in Portugal, although his most recent top-10 finish came in April's Spanish Open. Two former champs enjoying resurgences in form are Padraig Harrington and Tom Lewis. Harrington, winner in 2016, has had recent back-to-back T-10s in the Czech Republic and the Netherlands, while Lewis has played well on the Challenge Tour. The Englishman, who claimed his maiden title in Portugal seven years ago, won the Bridgestone Challenge earlier this month and followed that up last weekend with a tie-for-third in Kazakhstan.